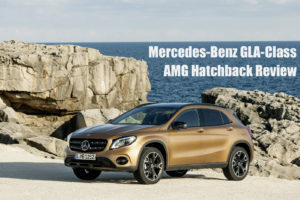 The new Mercedes-Benz GLA-Class AMG Hatchback is based on the CLA Coupe and the A-Class hatch but is a high-performance variant of the GLA small 4x4. Although the family it joins is already quite extensive, there is still space for this one. 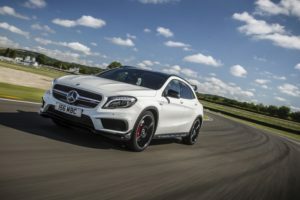 Despite its relative high-rise body, it’s actually a really fast car.If, however, you’re on the lookout for a more practical version of the A 45 AMG, you won’t find it here. While this one is bigger and bulkier, it doesn’t really add anything extra by way of practicality - nor is it the off-roader its aesthetics suggest. However, it is unique and has only a handful of rivals chasing its tail. Niche, stylish and rapid, it’s also impressive on the road. 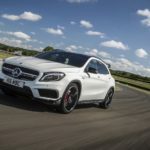 OSV takes a closer look at what it’s all about with our Mercedes-Benz GLA-Class AMG Hatchback review. 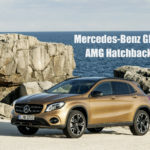 The new Mercedes-Benz GLA Class AMG Hatchback is based on the CLA Coupe and the A-Class hatch but is a high performance variant of the GLA small 4×4. Although the family it joins is already quite extensive, there is still space for this one. Despite its relatively high-rise body, it’s actually a really fast car.